Being stuck on a winless run that even Aston Villa would look down on, Arts 2nds could be forgiven for wanting the current BUCS 7B season to end tomorrow. However, despite his side having failed to win a league game in the first half of the campaign, captain Will Harvey remains optimistic they can achieve something between now and the season’s end. In his first year as skipper, the centre-half has been disappointed by his side’s inability to convert good performances into points, but says he doesn’t believe their position at the foot of the table is a fair reflection of how they’ve performed. “We’ve been in all of the games right into the final whistle, bar the game away to Essex 6ths. We’re not being outclassed, yet we sit joint bottom,” he told Elephant Sport. With just six teams competing in their league, the 20-year-old knows just a few wins could propel his team upwards, but he is also very aware of the difficulties facing his side. Their 6-1 loss to Essex 6ths is probably more of a comment on the fluid movement of players between sides at Essex University, rather than Harvey’s team’s limitations, and he admits the interchanging of players is a frustrating element of the uni’ game. 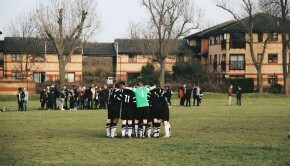 “A couple of weeks before that 6-1 loss, we beat Essex’s 4ths in the BUCS Cup. Yet when we go away to their ground – against nominally their 6th team – we’re playing against players who clearly play for teams at a higher level,” he said. 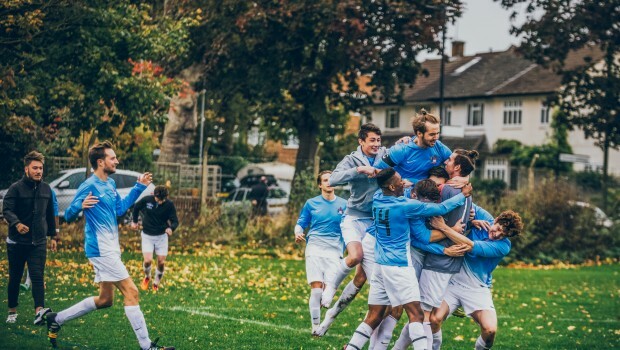 That Cup victory remains the 2nds’ solitary success this season, as in the next round, they suffered a 5-0 thumping at the hands of Kings College 3rds. 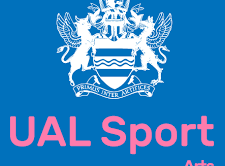 Back in the league, narrow losses to Anglia Ruskin (5-3) and Essex 5th’s (4-2) came either side of a 2-0 defeat to Tottenham Hotspur Community Foundation. Despite three losses in as many weeks, the lifelong Ipswich Town supporter picked out the performance against Spurs as an example of what the team were capable of – on their day. “Everyone else who’s played Tottenham has been beaten comprehensively. We gave them a really good game and were extremely unlucky. 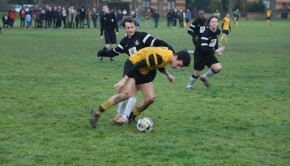 We defended as team and were unlucky going forward,” said the Product Design student. A return to form of star striker Emeka Dike, who scored four goals in four games, and Lewis Williamson’s comeback from injury supports Harvey’s claim the team is improving as an attacking force. Yet while he is adamant his team needs to defend better as a whole, he admits a reduction in personnel from last year has caused selection problems. The problems of attending an Arts university isn’t lost on Harvey, who still wants more players to join the club to create a competitive atmosphere. Looking forward, Harvey believes his team can have a positive second half of campaign leading up to the biggest days of the season; Varsity. 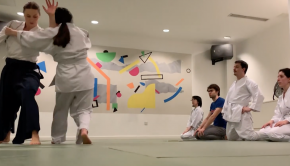 All 3 Arts football teams take on the Goldsmith football contingent, towards the end of the season, in the latest instalment of a 7-year-old University rivalry. “I back us in any game we play and I can’t see why we can’t get three or four wins in the last five games. Obviously we have to be realistic and understand how high the standard of some the teams we’re playing are, but I have confidence.” The imposing centre-half said. With only one Varsity win out of six in the last two years, Harvey is determined to repeat the feat achieved by last years 3rd’s – a team he played in. “That was a really great moment, winning Varsity. Unfortunately our other two teams didn’t manage the get the win but it doesn’t take away how special that day was. It will be the first, and maybe the last, time Harvey will lead out a team for Varsity as he heads into a busy final year at university, meaning captaincy may no longer be a viable option along with his course.